Enrolling Now for March 2020! 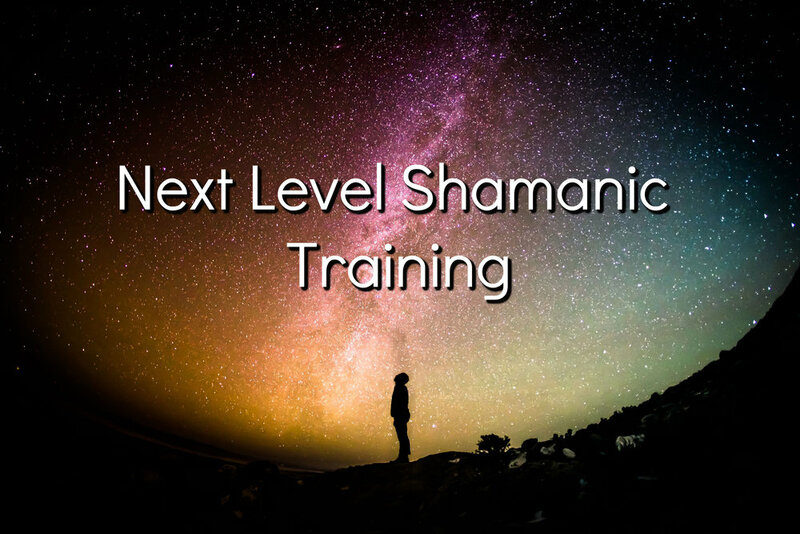 The Next Level Shamanic Training is a program designed for people who are ready to take their spiritual practice using psychic tools and awareness to a new level. You don't just learn how to "read an aura." You learn every aspect of what it means to give and receive a spirit-to-spirit "hello." Intense self examination is the means by which we learn how life force flows through us. You will begin to see how your clairvoyance can reveal how your inner world works AND see how that affects everything going on around you in all the spaces you occupy: career, home, family and more. Everybody is psychic so everyone can function as "a psychic" if they choose. This program will help you discover how and how much you can have clairvoyance as part of your everyday life. This program teaches you how to integrate ALL of your spiritual information. We are taught to rely on our minds, physical senses and even our feelings as the only guides we have, but we are rarely taught to trust our "intuition." This program will teach you to build certainty with your intuition and graduate it into full on clairvoyant vision that you can rely on more and more. There is a natural evolution in learning how to work with clairvoyance, and The Audacious Spirit will be your guide getting comfortable with it and building your foundation for living a more conscious and illumined life. How to read the 7 layers of the aura. Using meditation techniques to travel and function on the Astral Realm. The differences and similarities of magic, ritual and psychic awareness. The shamanic perspective on reality and how you interact with and create reality as a spirit in a human body. All of the training is designed so you can ground your spiritual path and live your life from that vantage point. This program will support you in your path toward a state of being and grace we call very simply - spiritual freedom. Spiritual freedom means that you need not subscribe to any ideology or belong to any particular sect or religion to know the eternal flame of your soul and its myriad connections to the earth and the cosmos. Wisdom. Strength. Peace. We at the Audacious Spirit believe that the journey toward spiritual freedom is attained by creating pathways to limitless space, timeless endurance, everlasting patience, never ending acceptance and continuous comprehension. Many who have gone before us have lived by this creed, and we are committed to the same. Enrollment is once e a year in February and is carried forward until a sufficient number of students are enrolled. All classes, events and workshops are delivered online only! There may be occasional in-the-body gatherings, but the entire thrust of the program is for the online student. A one-year contractual commitment is required. 12 months of classes and special workshops. Required attendance at two next level program classes per month on how to read energy, "work" energy, and understand the different energies we see and interact with as spirits in human bodies. Attendance at two Next Level Workshop Spaces per month where questions and skill are honed and practiced. Class days and times will be determined by collective agreement of the enrolled students. We do our best to accommodate different time zones and personal schedules. Private readings/consultations on your growth periods and progress as necessary. Required attendance at Student-Format Readings at least two sessions per month. (Days and times will be scheduled to benefit enrolled student schedules. Side-chair attendance at professional readings & house healings as availability permits. Required attendance at 2 healing/reading circles per month Note: Attendance requirement is to give healings and stay for entire event which begins 30-minutes before and 30 minutes after the circle is closed. Discounted or free attendance and special offers for TAS workshops, classes & special events. Clairvoyant training certification and entitlement as Associate Minister upon completion of the Next Level Shamanic Training program. Special payment arrangements can be made to suit personal circumstances. We do not have an official scholarship program, but we will consider all requests for reduced fees. All students must be proficient in foundational shamanic and psychic tools (meditation and healing tools) and complete an interview with the staff. All contributions made for this spiritual training program are not refundable should I decide to withdraw from the program for any reason. All contributions agreed upon at the time of enrollment for this spiritual training program are due in full upon graduation or termination of the program (whichever comes first) unless special arrangements have been made. If termination is unavoidable a $225 cancellation fee will apply. A student is allowed to suspend his/her program continuation for a total of 2 months only, after which the contract will resume. A suspension administration fee of $50/mo will be applied. If it is necessary to go over the 1 year contract deadline, a $225/mo charge will be applied for the student's continuation of the program.